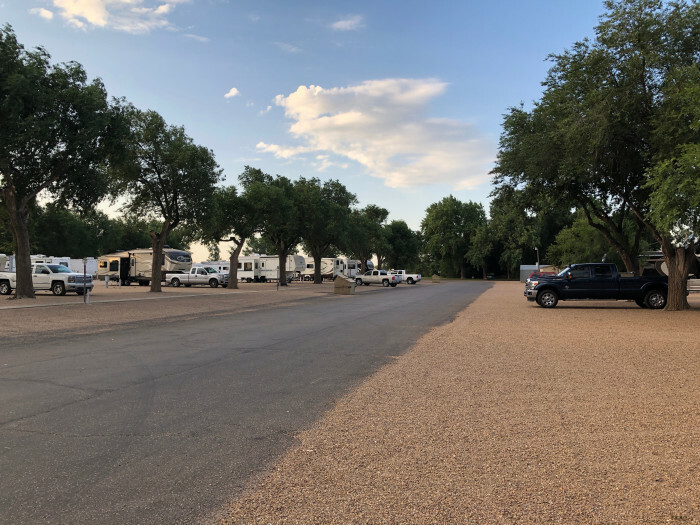 Ask fellow campers about "Corral RV Park" and nearby attractions. Stayed here one night. No cable. Very hard to get any TV stations. WIFI is available, but only on one device. If you want on more than that, you pay $3 a day. Gravel pads, but pretty lev Hook ups were easy. No dog park, but an area was available. Easy in and easy out. We camped at Corral RV Park in a Motorhome. Stayed here on our way to AZ for a week. Didn't want to get there too soon because of the heat. Nice park, easy to get to. FHU, no cable and only 4 OTA channels that didn't come in very good. Sites were all gravel but no dust which was good considering how windy it is here. Power was good the whole time. Near train tracks but not much noise with the AC running. There was loud train horn noise at night. I think the conductors liked to toot their own horns at night. LOL Would stay here again if we were just passing through but probably not for a week. Not much to see here. 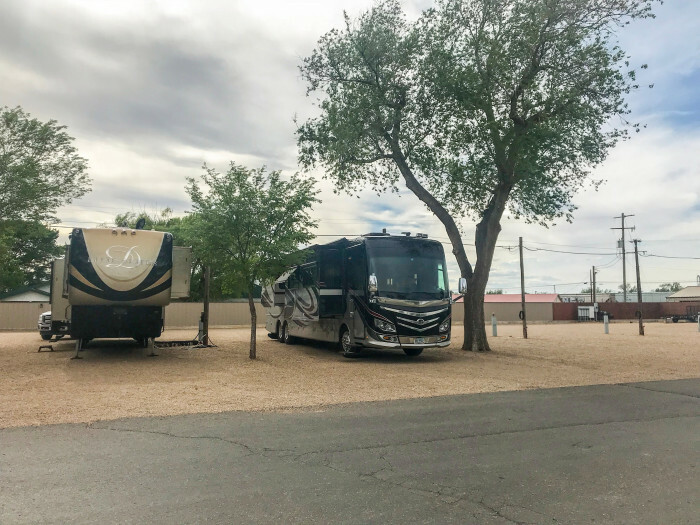 We camped at Corral RV Park in a Fifth Wheel. Not much in the area, grocery store, hardware store and gas stations. Nice museum about the XIT Ranch. Quite a bit of history here. Very interesting. Good for an overnite stop. Cons: lack of shade, not close to anything else really but this was an overnight stay. Train nearby (didnt bother us) Pros: easy in, easy out and we were towing 65 ft, truck, fifth wheel plus trailer with side by side. Site is gravel, no grass, no picnic table, no fire pit - no problem it was hot. Pull through long enough for all we had without unhooking. Supposed to get 4 cable channels, we could not. Did get 8 channels with antennae once the hubby found the signal. Dumpsters handy. Playground for kids. Was quiet. Fine for a stopover. We camped at Corral RV Park in a Fifth Wheel. Toot n totem diesel about the best price in the area. Easy access. Good for overnight stay. Clean grounds and friendly check in. We camped at Corral RV Park in a Motorhome. This is a great stopover spot. The park is extremely clean and well kept. The monthly units have their own section of the park. There is a train yard nearby but my A/C running easily covered any noise coming from the trains. We camped at Corral RV Park in a Travel Trailer. We always stay here when we are heading northwest. It is clean and well laid out. If there is any downside it would be be train noise. But it is not bad enough to worry about. 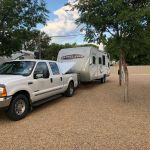 We camped at Corral RV Park in a Fifth Wheel. This is a very nice park. We stayed for one night while travelling between Raton, NM and Amarillo, TX. Lots of room to park your rig. The lady who checked us in was very nice and helpful. The only negative, which has been noted by other reviewers, was train noise (but it wasn't bad). There is no cable TV but you can pick up a few Amarillo stations with your antenna. I would definitely stay here again. 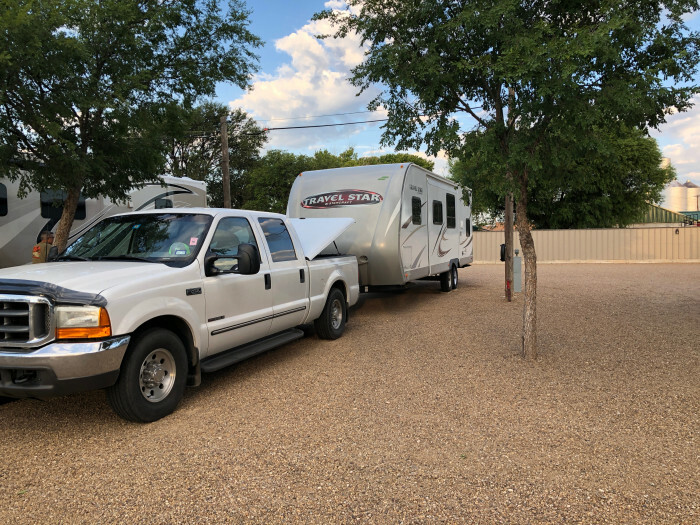 We camped at Corral RV Park in a Fifth Wheel. The main road through town (U.S. 87) has a number of gas stations and restaurants to choose from. Diesel is readily available. We only rate overnight stops if they were really good and we would return of if they are really bad and we would like to save others from a similar fate. THIS ONE IS REALLY GOOD! This was an overnight stop for us on our way from Oklahoma to Texas. The location was very convenient in the town of Dahlhart. The overnight spots were large, level, and gravel. We had plenty of room to pull in and set up w/o unhooking. The park is in the city but has fields and farms nearby. There are plenty of long-term residents and a few leftover Mobile Homes. It appears that you can have a long-term spot which includes a private and gated fenced yard. We would return and if needed stay longer. We camped at Corral RV Park in a Fifth Wheel. Quiet (except for the train horns) and clean park.Good internet and a good place to stop for an oer night. Friendly staff. 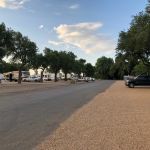 We camped at Corral RV Park in a Travel Trailer. We have stayed at this park in the past in our motorhome for an overnight stay. The staff was very friendly. Some of the sites are occupied on a long term basis. The park was quiet. We would stay here again. We camped at Corral RV Park in a Motorhome. 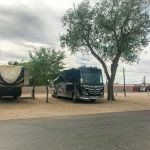 Great quality RV park for what you get between Amarillo and Raton NM. The sites are level. The park is very clean and kept up. Has some trees. It's a little bit noisy. Trains run all night, but they do not toot their horns. Verizon cell service is excellent. I was getting over 20mbps download. If it wasn't for the noise, I would rate this a 10. We camped at Corral RV Park in a Motorhome. Very nice young family owned place who care about their customers. Very well maintained park with large level gravel sites. Easy in and out to highway. Parked overnight without unhooking tow vehicle. Yes there are train tracks the other side of the highway, but did not bother us. Will absolutely stay here again. We camped at Corral RV Park in a Motorhome. Average place. Attendant was nice. Internet costs more for additional people, which we paid however the internet did not work at all that night. No attendant on duty to fix the problem. There is one bath/shower house for the area. If someone is showering, you can't use the toilet. Places are super close to each other. Looks like most people live there year around. Probably would pass on staying there again. We camped at Corral RV Park in a Tent Trailer. Go to the X10 restaurant for a good steak. Very good food, and the service was exceptional. This is Dalhart, really just for passing through. I think we will just go to Amarillo next time. Visit the Bar H Steakhouse, also there is a great museum in town, the XIT museum... no charge but they take donations. Nice little gift store there. No Walmart, but nice United Grocery store in town. Large train yard across the street from the park with considerable amount of activity. However, it did not seem like as much at night time. We were only there over night so I don't know much about what there is to do in Dalhart. The RV park is very clean. There is a grassy area to walk our dog. Ate at Hodie's BBQ. It was late and nothing much open. Not in the mood for BBQ so I ordered the catfish but I don't think that's what it was...tasted very fishy. Food was just so so. Truck stop for diesel not too far away. Not much. We did visit the XIT museum and enjoyed it a lot. Convenient to cross country travel but would stay here longer if desired. No Wal Mart but the United Food Stores has a nice selection. This is a railroad town so expect horns and such. There are some of the biggest feed lots I've ever seen on 54 west, make El Paso's look small. Also 1000's of acre fields on both sides of smooth highways. Great way to go. 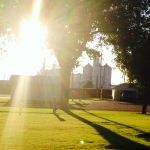 Dalhart's XIT Museum is an excellent way to learn about the famous ranch and the early days of Dalhart. Walk down Denrock Street as well -it's very nice. Are you affiliated with Corral RV Park ?